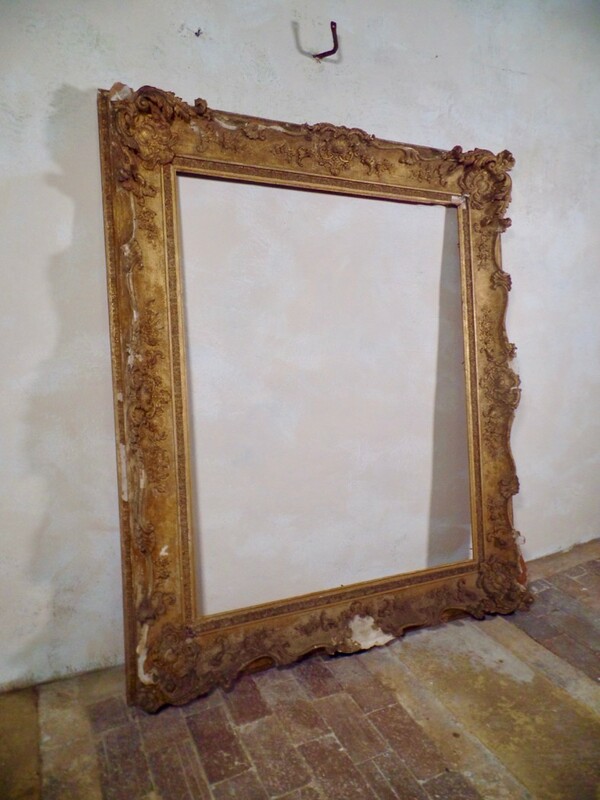 A large antique Rocco swept frame. 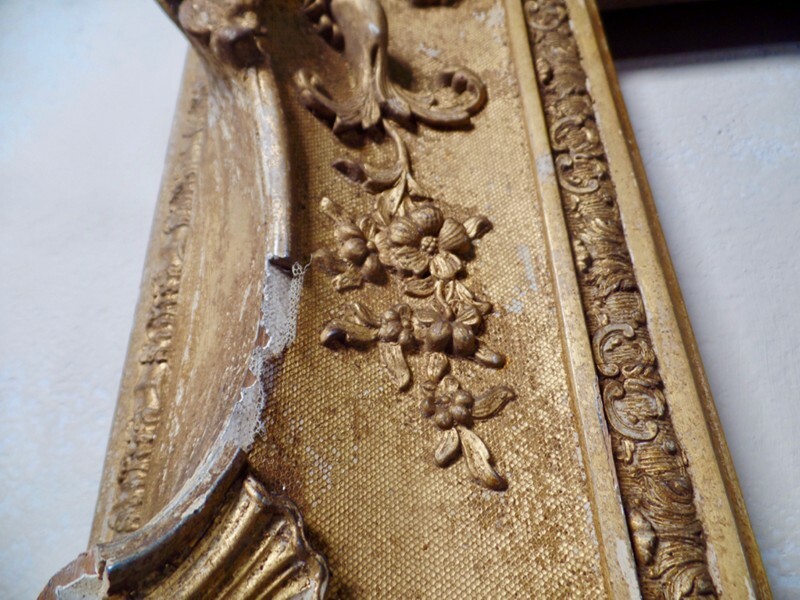 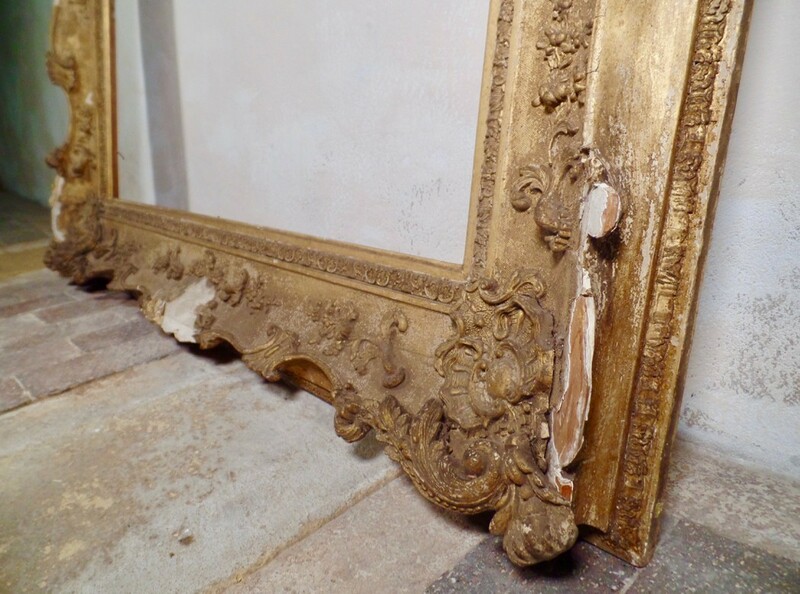 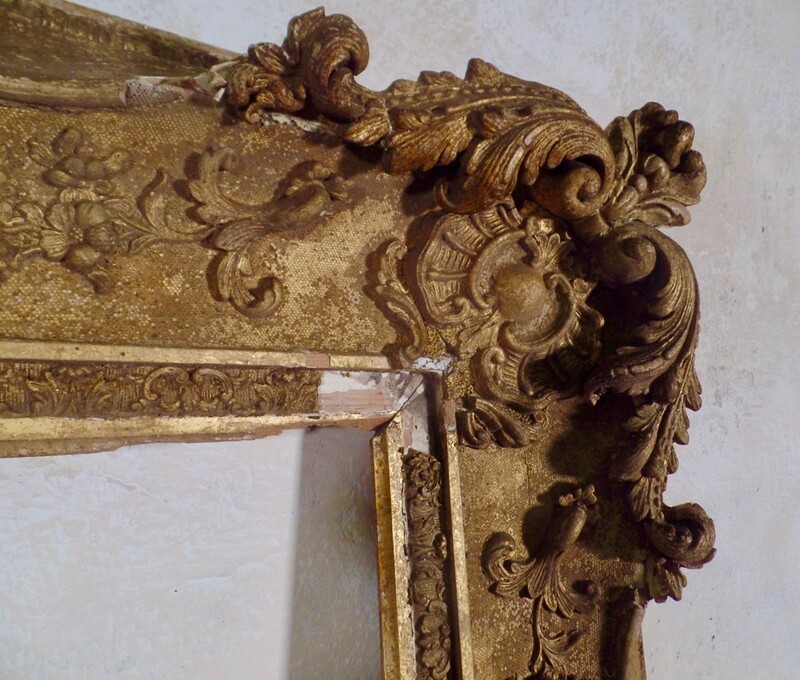 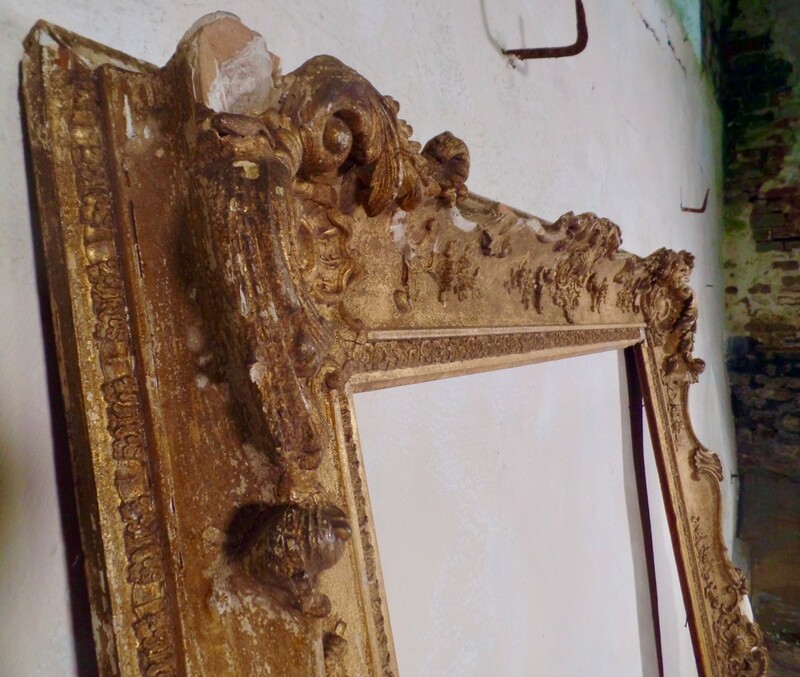 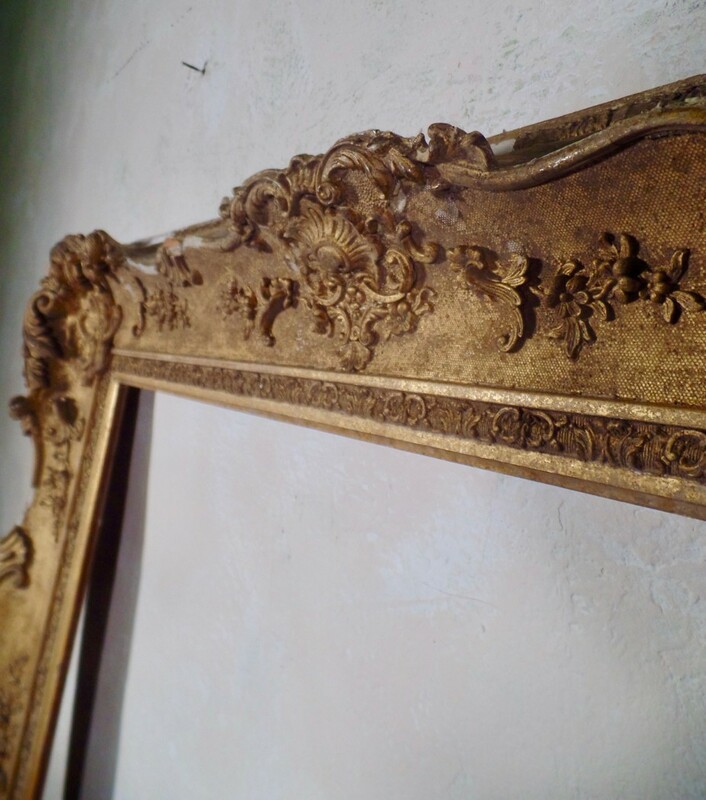 The frame features a really lovely colour with the original, now slightly faded gilt work, creating a lovely understated design which lends itself to both the size and intricate detailing throughout. 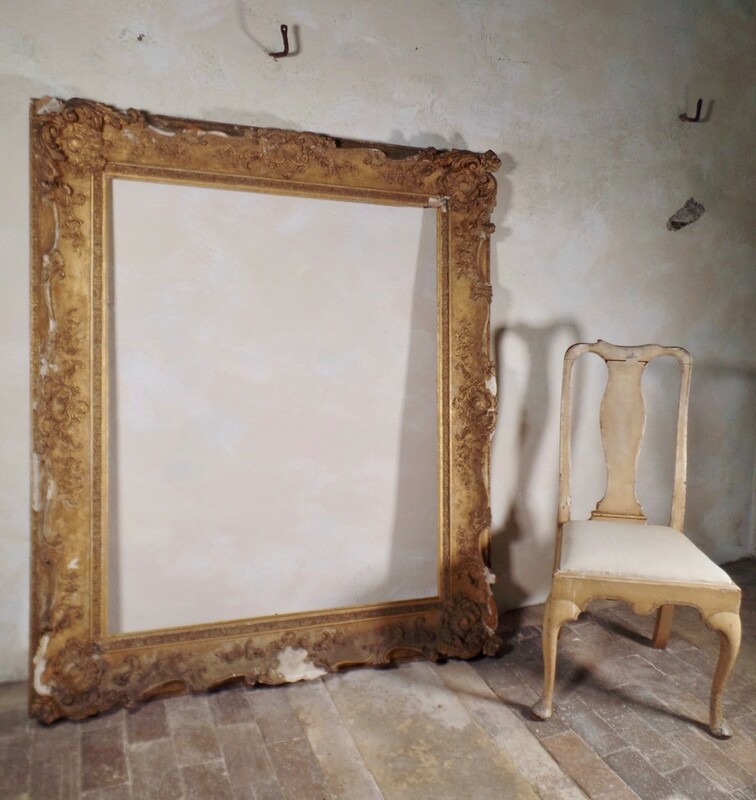 The faded cream/gold colouring to the frame wouldn't create too much of a statement or overpower the room or painting that it could be situated within. 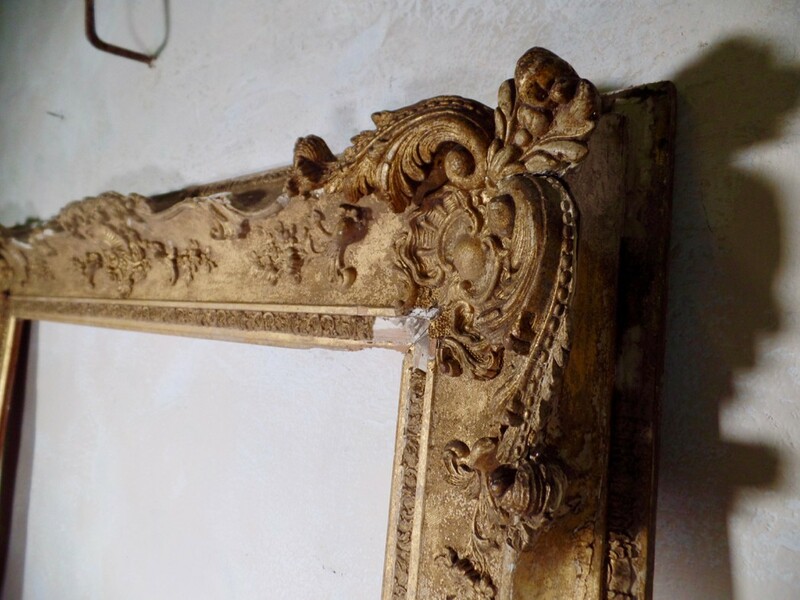 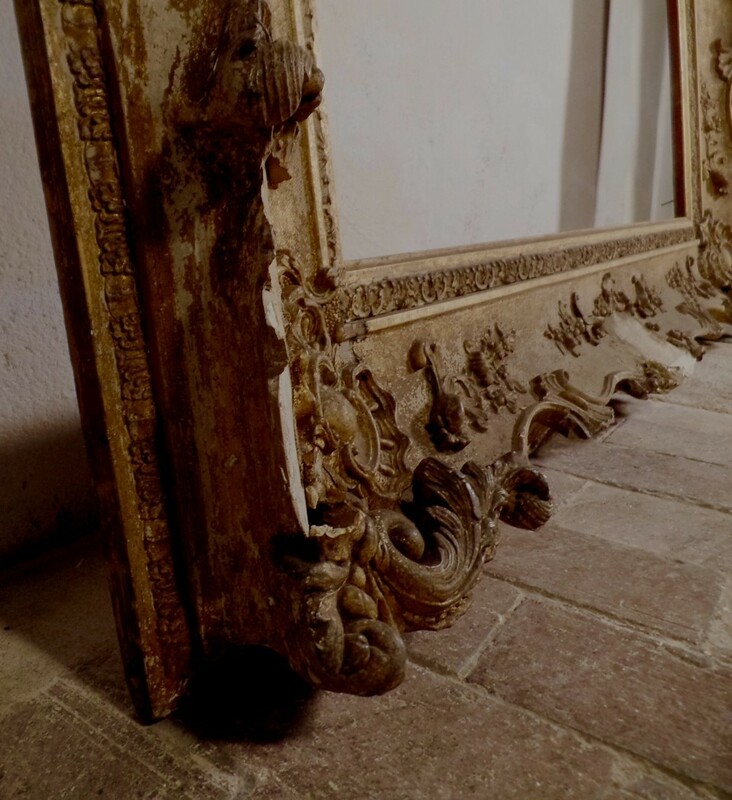 The frame would work well either as a mirror, used for its original intention as a picture frame or could just be lent up against a wall as a feature in any room. 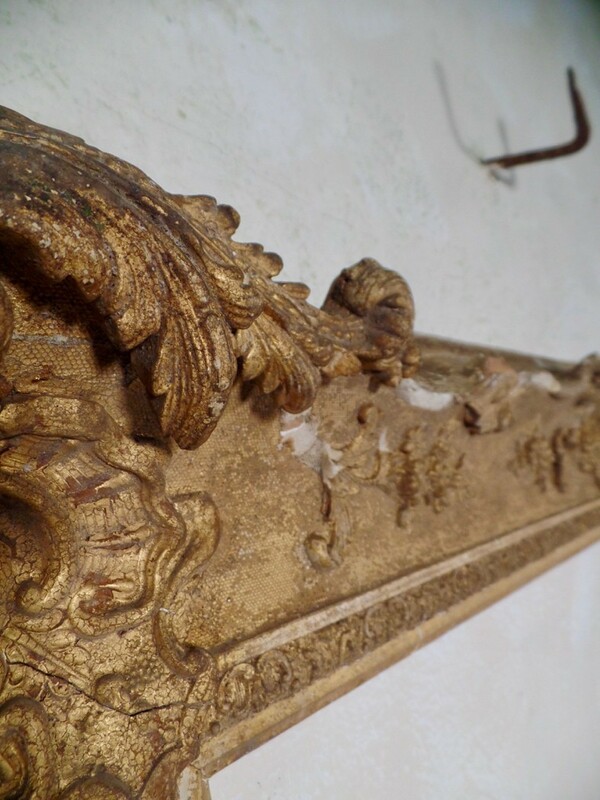 In good condition but as you can see from the images, there are pieces of the original molding that have come off over the years.